American bass-baritone Kyle Ketelsen is in regular demand by the world’s leading opera companies and orchestras for his vibrant, handsome stage presence and his distinctive vocalism. 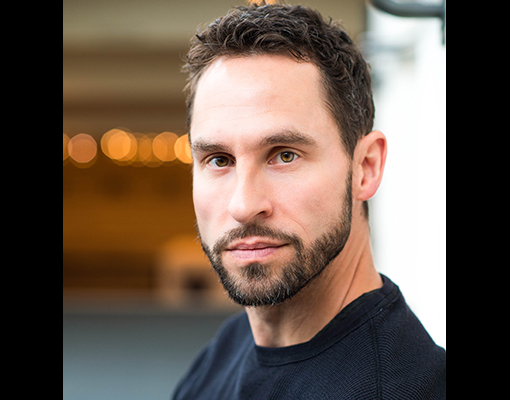 In the 2018-2019 season, Mr. Ketelsen will sing the role of Escamillo in The Metropolitan Opera’s production of Carmen at. Following Carmen, Mr. Ketelsen will perform the role of Golaud in Pelléas et Mélisande with the Metropolitan Opera, conducted and directed by the newly appointed Yannick Nézet-Séguin. He will also be singing La Sonambula as Conte Rodolfo at Opernhaus Zurich. 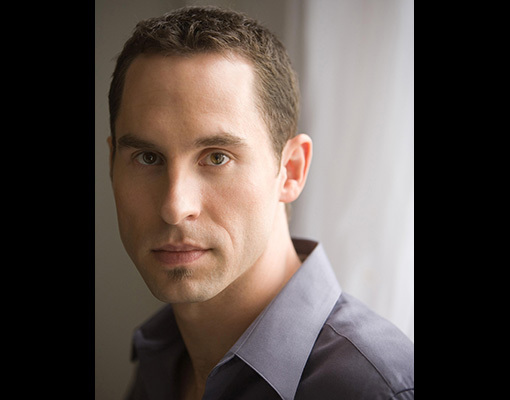 Ketelsen will sing the role of Escamillo in Carmen at the San Francisco Opera. Mr. Ketelsen will perform as the King of Scotland in the premiere of Ariodante at the Lyric Opera of Chicago. Kyle will sing Méphistophélès in Les Siècles’ La Damnation de Faust throughout France. He will also be making concert appearances with the Madison Symphony. In the 2017-2018 season, Mr. Ketelsen sang the role of Nick Shadow in Simon McBurney’s production of The Rake’s Progress with the Dutch National Opera in Amsterdam and made his company debuts at the Dallas Opera, the Opéra National de Lyon, and the NHK Symphony in Orchestra in Tokyo as Leporello in Don Giovanni. In addition, he reprised the role of Escamillo in Carmen with the Teatro Real Madrid, as well as Alidoro in La Cenerentola with the Bayerische Staatsoper. Highlights of Mr. Ketelsen’s recent seasons include his return to The Metropolitan Opera to sing Escamillo in Carmen and to the Opernhaus Zürich for his role debut as Golaud in a new production of Pelléas et Mélisande directed by Dmitri Tcherniakov, as well as the role of Méphistophélès in Gounod’s Faust. He sang the title role of Le nozze di Figaro in Lluís Pasqual’s new production at the Gran Teatre del Liceu and also appeared as Golaud in Pelléas et Mélisande conducted by Louis Langrée at the Théâtre des Champs-Elysées. Mr. Ketelsen returned to the Festival d’Aix-en-Provence to sing Nick Shadow in The Rake’s Progress. Kyle also made an appearance at the Bayerische Staatsoper in Munich as Basilio in Il barbiere di Siviglia. Mr. Ketelsen joined Harry Bicket and The English Concert on tour as Zoroastro in Handel’s Orlando, and also appeared with the St. Louis Symphony and the Chicago Symphony Orchestra in Messiah under the baton of Bernard Labadie. In addition, he made house debuts with the Staatsoper Berlin as the title role in Le nozze di Figaro; his role debut as Enrico VIII in Minnesota Opera’s production of Anna Bolena; his return to the Metropolitan Opera in Billy Budd as Mr. Flint; performances of his celebrated Leporello in Don Giovanni at the Metropolitan Opera, Lyric Opera of Chicago, Canadian Opera Company, Houston Grand Opera, Teatro Real in Madrid, Bayerische Staatsoper, and at the Festival d’Aix-en-Provence; Basilio in Il barbiere di Siviglia and Don Fernando in Fidelio at Houston Grand Opera; Basilio in Il barbiere di Siviglia at Lyric Opera of Chicago; the title role in Le nozze di Figaro at the Festival d’Aix-en-Provence; Cadmus in Semele at the Canadian Opera Company (on tour at the Brooklyn Academy of Music); and Escamillo in Carmen at the Chorégies d’Orange festival. Recent concert appearances include Rossini’s Stabat Mater with Lincoln Center’s Mostly Mozart Festival conducted by Gianandrea Noseda, Handel’s Messiah with the Mormon Tabernacle Choir, Brahms’s Deutsches Requiem with the San Francisco Symphony under the baton of Michael Tilson Thomas, Beethoven’s Fidelio with the National Symphony Orchestra conducted by Christoph Eschenbach, Mozart’s Requiem with Pinchas Zukerman and Handel’s Messiah with the Colorado Symphony Orchestra, Mozart’s Mass in C Minor with Baltimore Symphony Orchestra conducted by Masaaki Suzuki, Falla’s Master Peter’s Puppet Show with The Knights at the Tanglewood Festival, and Rossini’s Moïse et Pharaon with the Collegiate Chorale at Carnegie Hall. Mr. Ketelsen made his Lyric Opera of Chicago debut as Masetto in Don Giovanni conducted by Christoph Eschenbach, followed by performances as the title role in Le nozze di Figaro and Méphistophélès in Faust, both conducted by Sir Andrew Davis. At the Royal Opera House Covent Garden he made his role debut as Nick Shadow in The Rake’s Progress, and he joined the Canadian Opera Company in a role debut as Alidoro in La Cenerentola. Mr. Ketelsen has performed at many of the world’s leading opera houses including the Metropolitan Opera, San Francisco Opera, Bayerische Staatsoper, Royal Opera House, Los Angeles Opera, Gran Teatre del Liceu, Minnesota Opera, New York City Opera, Boston Lyric Opera, Opera Pacific, Glimmerglass Festival, Michigan Opera Theatre, De Nederlandse Opera in Amsterdam, Hamburg State Opera, Madison Opera, Washington National Opera, Opera Theatre of St. Louis, Teatro Carlo Felice, and Teatro Real in Madrid. In concert, Mr. Ketelsen made his Carnegie Hall debut with the Oratorio Society of New York in Haydn’s Creation, and he repeated this work with Music of the Baroque in Chicago. He has collaborated with Esa-Pekka Salonen and the Los Angeles Philharmonic in Beethoven’s Symphony No. 9, Berlioz’s Lélio, de Falla’s El Retablo del Maese Pedro, Kaija Saariaho’s Cinq reflets au l’Amour de loin, and with the Philharmonia Orchestra in Stravinsky’s Oedipus Rex. With the Chicago Symphony Orchestra, he has sung Stravinsky’s Pulcinella under the baton of Pierre Boulez, which was released on CD, and Berlioz’s Lélio conducted by Riccardo Muti in both Chicago and at Carnegie Hall. Mr. Ketelsen has performed with the St. Louis Symphony in Handel’s Messiah, the Seattle Symphony in Mozart’s Requiem under Itzhak Perlman, and the Cleveland Orchestra in Haydn’s Harmoniemesse under Franz Welser-Möst, as well as with the Orchestre National de France, Monteverdi Choir and Orchestra, St. Paul Chamber Orchestra, Pasadena Symphony, Pacific Symphony, Richmond Symphony, Madison Symphony, and Indianapolis Symphony. Mr. Ketelsen has won First Prize in several international vocal competitions, including the Metropolitan Opera National Council Auditions, the Richard Tucker Music Foundation (Career Grant), the George London Foundation, the Licia Albanese Puccini Foundation, the Sullivan Foundation, Opera Index, the MacAllister Awards, Forth Worth Opera, National Opera Association, Connecticut Opera, and the Liederkranz Foundation. He is alumnus of the University of Iowa and Indiana University.